The digital world runs on electronic devices, and oftentimes those devices run on lithium batteries. In nature, lithium is never found in its elemental, metallic state. Instead, it’s extracted from lithium minerals found in rocks such as spodumene. For that reason, spodumene is a prized commodity that is mined on nearly every continent. Recently, ArrMaz, the leading supplier of specialty solutions which optimize mining process performance and efficiency, partnered with a spodumene mineral processor that wanted to produce a more concentrated, battery-grade spodumene product. With our help, the client was able to exceed both grade and recovery goals, while at the same time significantly reducing collector consumption. The client’s deposits faced metallurgical challenges, chiefly, a high percentage of quartz and iron silicates, mica, amphibole and other minerals that were degrading the quality of the spodumene product. The deposits were found to contain 10-20% spodumene. In order to reach battery-grade quality, the spodumene concentrate had to be upgraded from 0.8-1.2% Li2O to consistently more than 6.0%. The processing plant was achieving concentrate levels up to 4.5% at the time. Their goal was to not only improve the grade to 6%, but also improve recovery at the same time. That’s when the company turned to the experts at ArrMaz. ArrMaz quickly identified the commodity-type collector being used as an obstacle to achieving recovery and production targets. So ArrMaz developed a custom collector formulation tailored to the mineral processor’s unique feed, water and process. 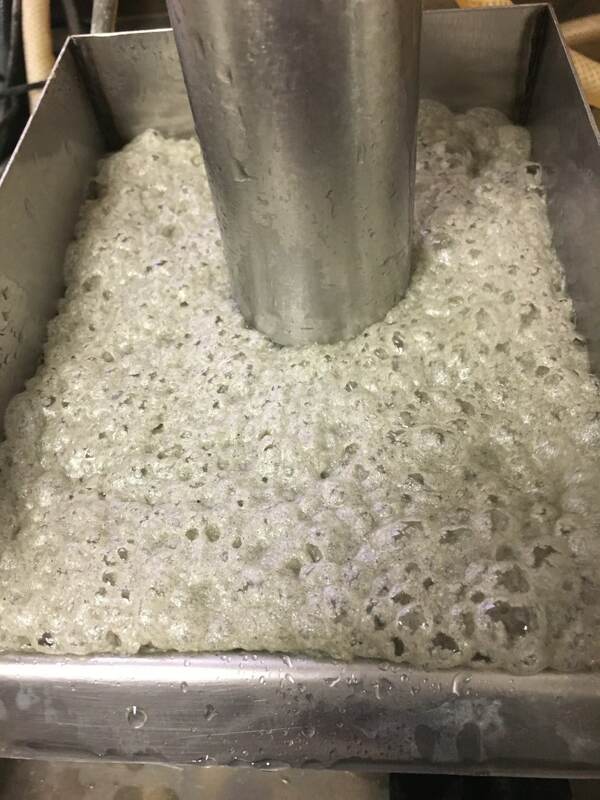 ArrMaz used its CustoFloat technology to develop a custom-formulated surfactant-enhanced reagent, which was more effective at meeting the grade and recovery requirements for this particular deposit. Our consultants examined the entire mining process and made adjustments to feed processing and mineral conditioning parameters to maximize plant and reagent performance. ArrMaz’s custom solution consistently made grade targets and provided acceptable recovery and production tons. Additionally, flotation selectivity improved as the ratio of lithium to iron increased significantly. Collector consumption decreased by 68%, while ease-of-handling and make-down efficiency surged. With the help of ArrMaz’s technical experts and custom collector formulation the site is now meeting or exceeding performance criteria, and the successful supplier-client partnership continues to this day. Read the entire case study for more details on how ArrMaz helped this spodumene producer partner maximize recovery and make grade.